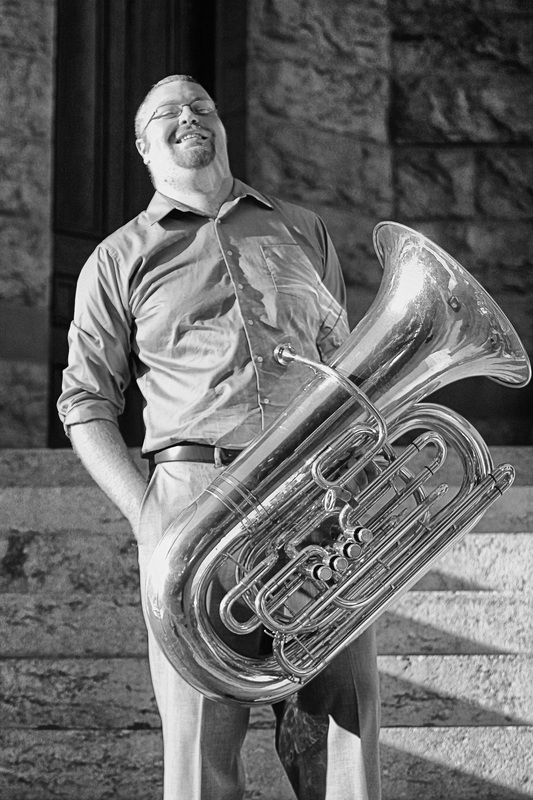 Dr. Jesse Orth is honored to return to his Midwestern roots with his recent appointment as instructor of tuba and euphonium at the University of Northern Iowa, where he teaches applied tuba and euphonium lessons, directs the UNITUBA ensemble, and coaches chamber music ensembles. He recently moved from Texas, where he earned both his masters and doctorate in Tuba performance at the University of North Texas. In addition to performing actively on the tuba, Dr. Orth has been a significant contributor to multiple repertoire projects initiated by the International Tuba and Euphonium Association. In 2007, he assisted internationally renowned jazz artist Jon Sass on the Bassblowaz Club, part of the Creative Impulse series. Mr. Orth has earned degrees from the University of Wisconsin-Eau Claire (BA - music) and the University of North Texas (MM and DMA).